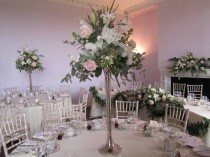 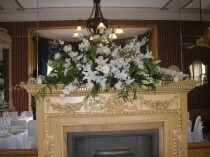 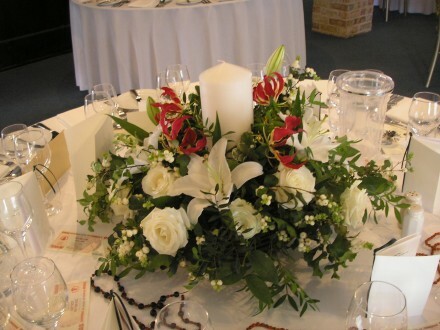 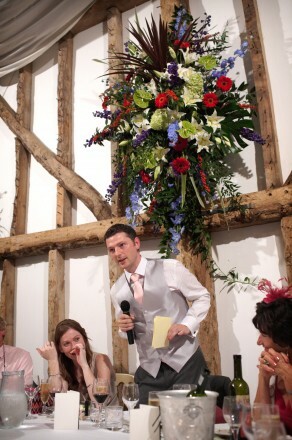 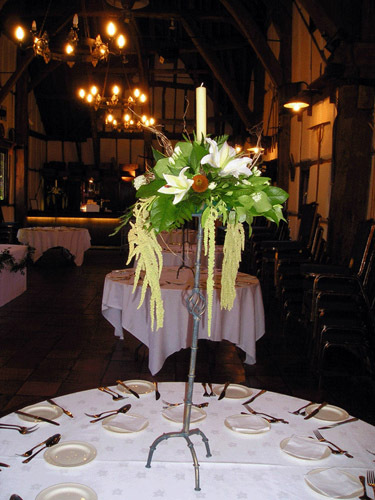 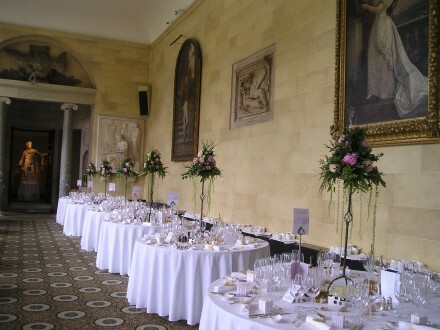 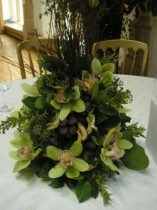 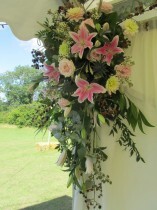 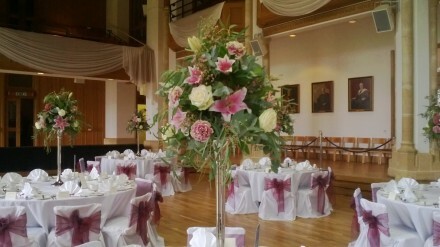 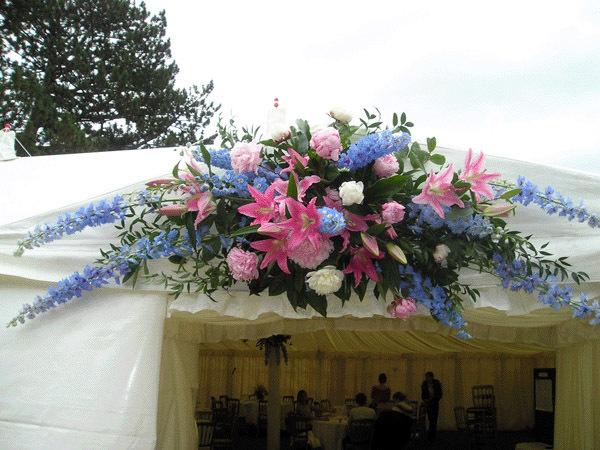 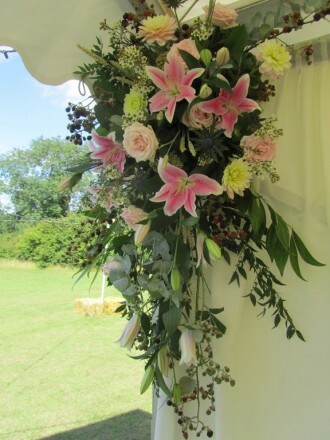 Fleurette have decorated all the wedding venues in and around Bedford. 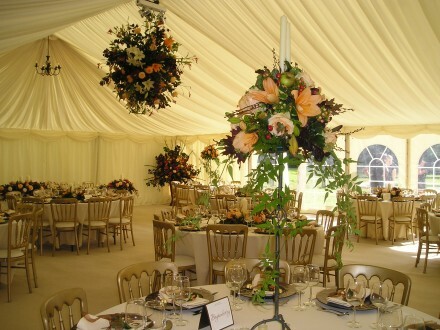 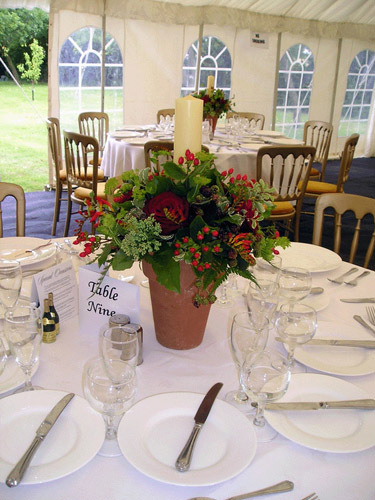 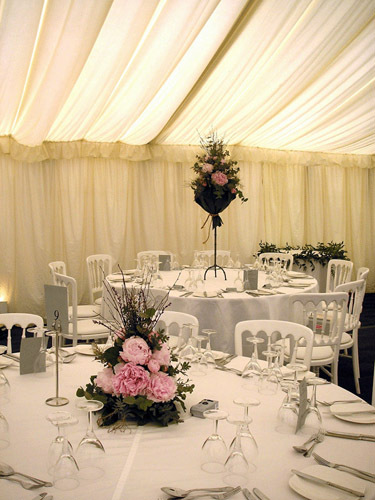 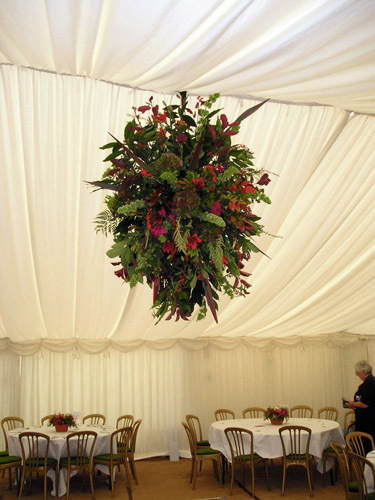 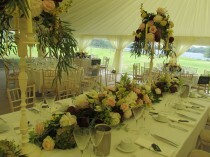 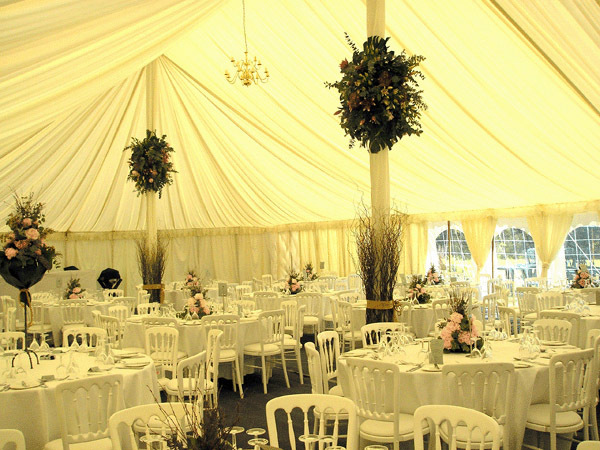 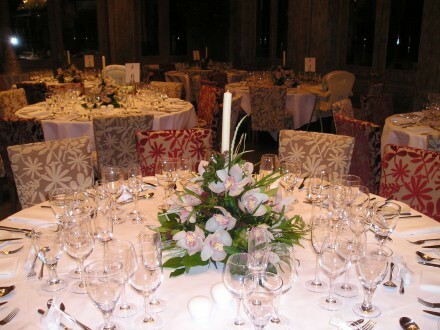 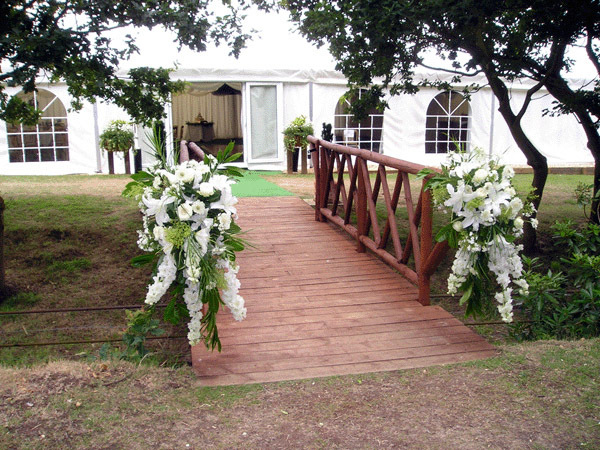 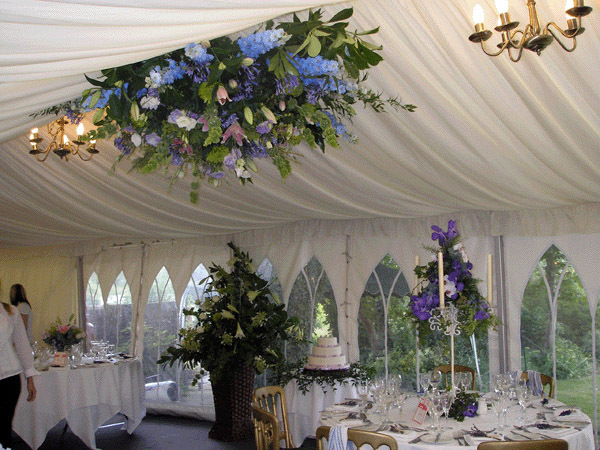 This includes hotels, country houses, village halls, golf club reception suites and especially marquees. 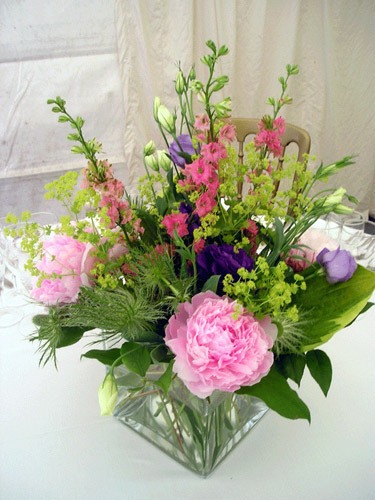 This is an area where you want to have maximum impact for your budget and you will certainly not be disappointed with flowers from Fleurette. 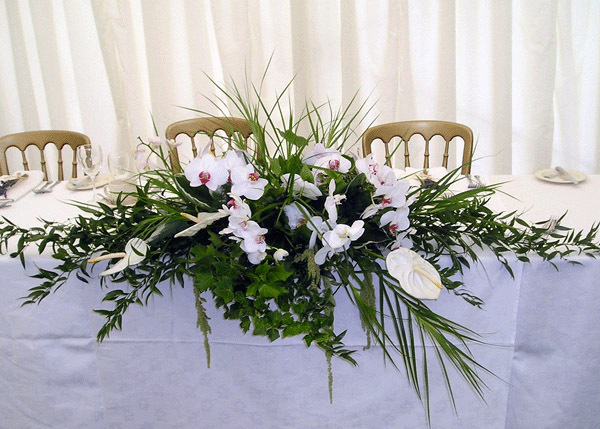 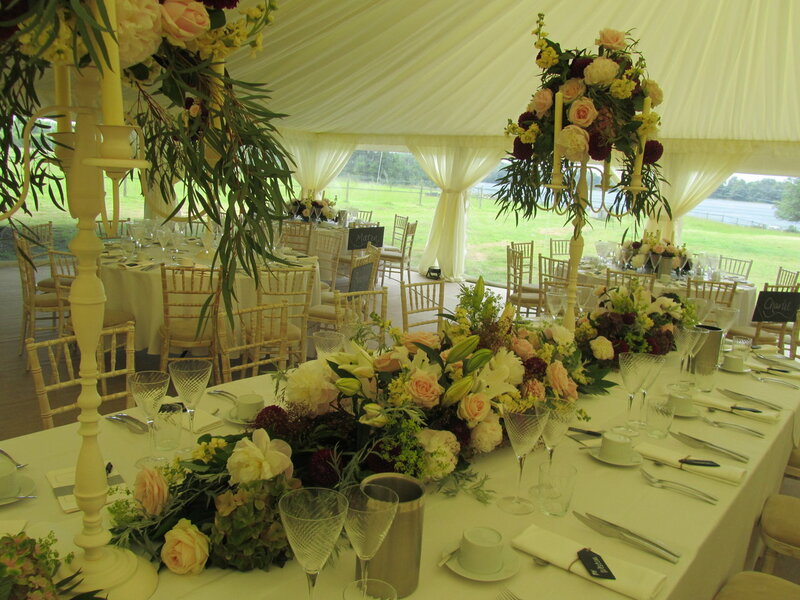 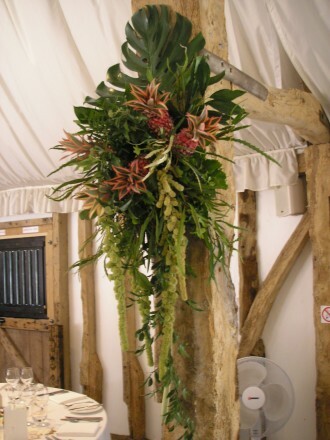 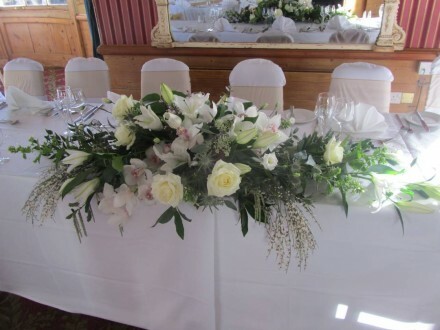 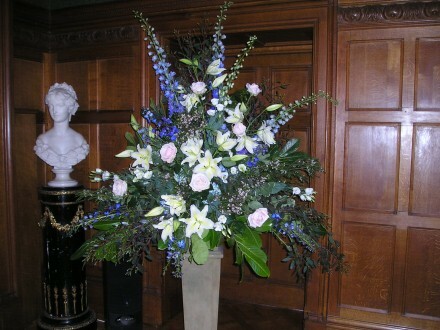 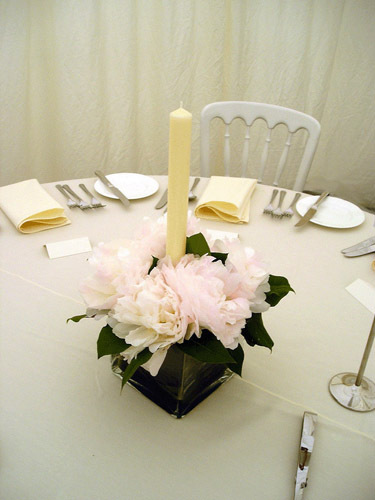 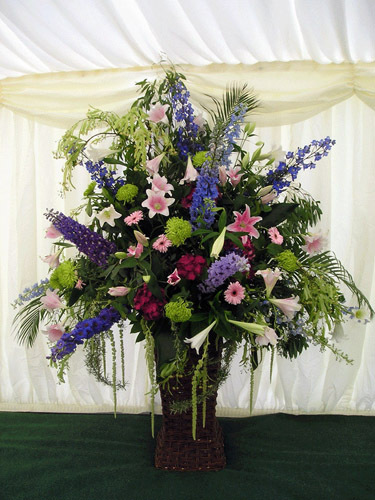 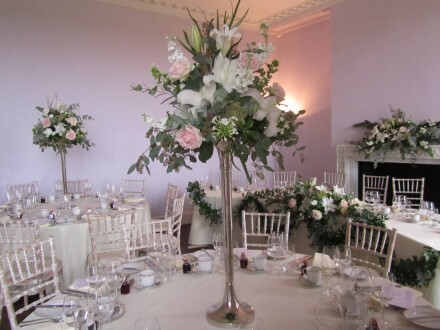 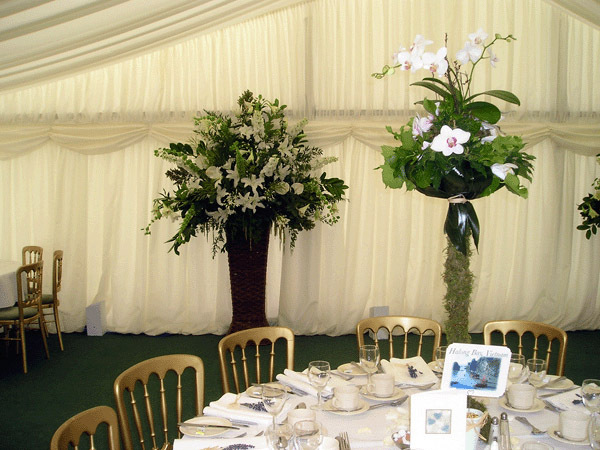 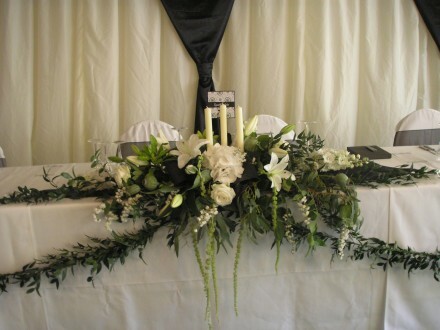 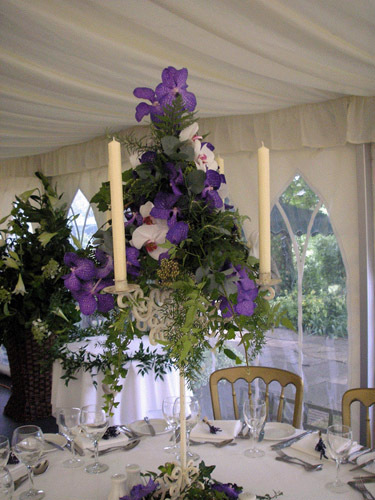 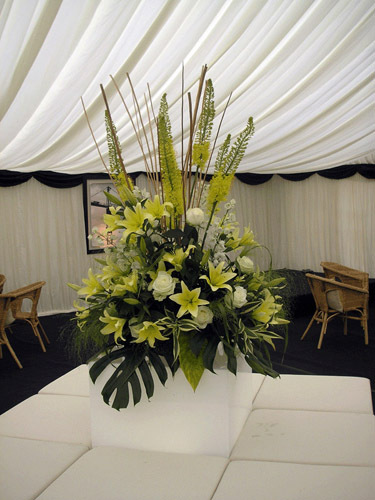 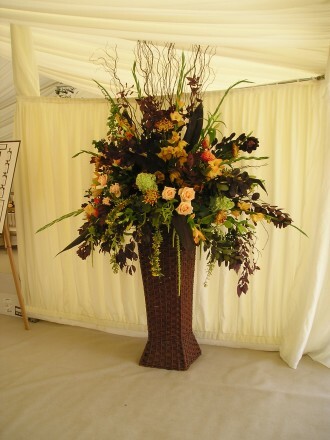 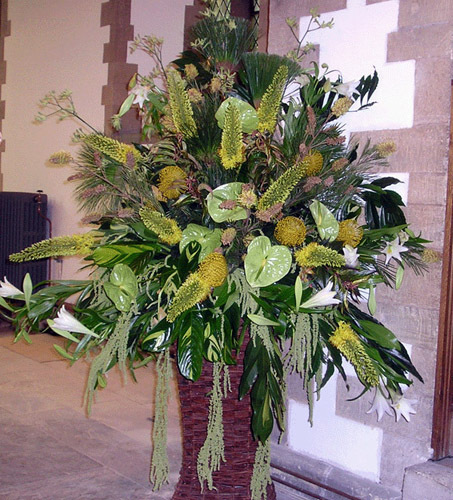 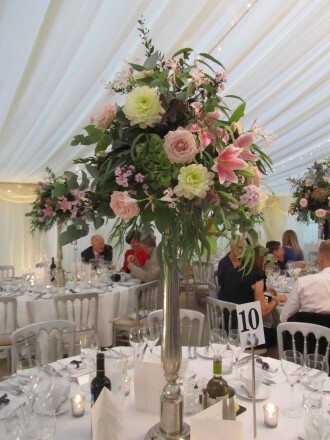 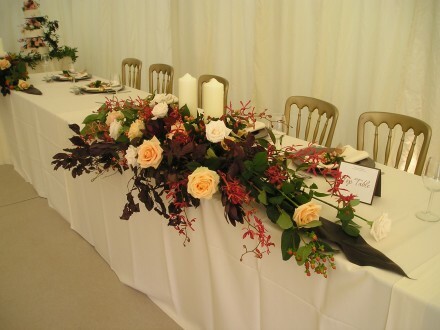 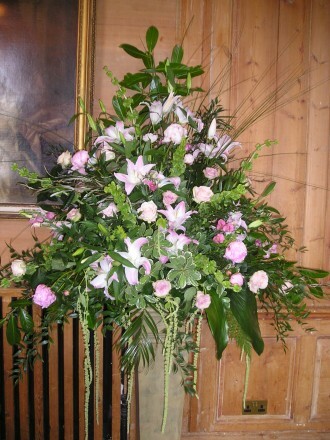 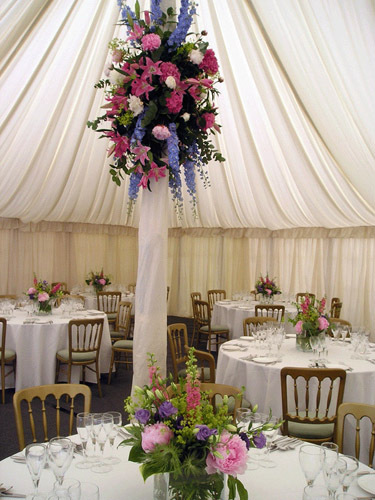 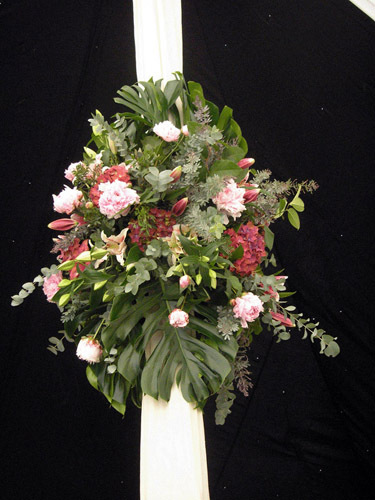 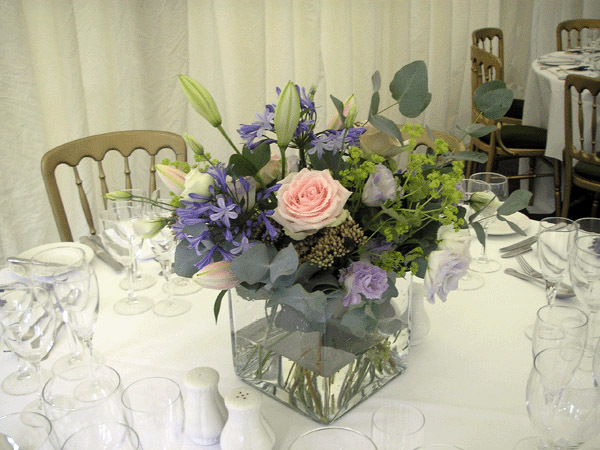 We will design and create large flowing pedestal arrangements, our signature trophy arrangements in marquees and a wide variety of table centres.